KAMPALA – Capping an eventful week, Retired Maj Gen Matayo Kyaligonza’s military guards have been photographed unleashing impunity to a senior police traffic officer. The ugly incident occurred in the afternoon of Sunday, February 24 in Seeta, Mukono District. A yet to be identified female traffic officer, who was on duty, reportedly ordered the vehicle in which Kyaligonza was being chauffeured to stop. The military guards would later rough up the traffic officer. It should be remembered that the Ugandan People’s Defence Force (UPDF) officers at Kyaligonza’s level have no right of way. Also tortured is a journalist working with Uganda Broadcasting Corporation who was at the scene. The Defence spokesperson Brig Richard Karemire said the matter would be resolved between the army and police leadership. Maj Gen Matayo Kyaligonza and his Bodyguards unleashing the traffic officer. It’s unclear if Kyaligonza will be held to account for the actions of his guards. In the picture taken from the scene, he was seen charging at the besieged and helpless traffic officer. Karemire said the army’s “next course of action” will be determined by facts obtained from working jointly with police. The senior army officer is among the historical NRA combatants who participated actively in the liberation war that brought President Museveni to power. Kyaligonza is also a member of the High Command of UPDF. The incident comes just weeks after retired Maj Gen Kasirye Ggwanga shot and deflated the car tyres of singer Catherine Kusasira in Kampala. Also four-time presidential candidate Dr. Kiiza Besigye last week released a fresh dossier, challenging youthful Member of Parliament (MP) Robert Kyagulanyi Sentamu, alias Bobi Wine. Besigye who has been out in public memory for about two years pointed out differences in their political strategies. In the statement, Besigye posted on Social Media, stated that to oust incumbent President Museveni through an election alone is almost unachievable and that Bobi Wine ‘funa endaga muntu’ drive is just a phrase. The retired colonel challenged Bobi Wine for encouraging Ugandans to register for national identity cards as a strategy to oust the incumbent and long-serving and he doesn’t organize elections to lose them. “Military rulers use elections to consolidate their power especially through gaining international acceptability and to weaken the Opposition,” Besigye wrote. Frequent Internet users have however attacked the FDC strong man labelling him a mole. Bobi Wine has not yet responded to Besigye comments by press time. 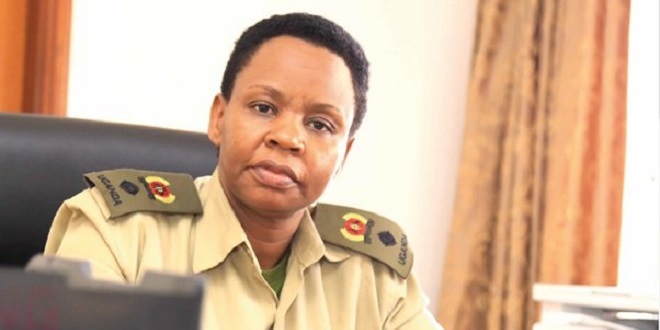 In the week, the head of the Anti–Corruption Unit attached to State House, Lt. Col. Edith Nakalema arrested Mbarara district official for sharing public land. Nakalema and team stormed Mbarara Municipal Council Offices on Kamukuzi Hill following reports by numerous whistleblowers that government officials were engaged in massive corrupt actions of unprecedented magnitude. Nakalema said she was on an investigative visit to the district to verify reports by whistleblowers of the alleged corruption. On probing further the accusations, she found out that some political leaders and technocrats were initiating plans to parcel out plots and houses on Kamukuzi Hill to themselves. In business, the embattled telecommunications giant MTN Uganda denied government accusations it has been understating its revenues, insisting that it was fully meeting all its tax obligations. “MTN revenues are independently audited and we remain firmly of the view that all revenues have been correctly accounted for and we are compliant on all tax matters,” MTN Uganda told Reuters on Thursday, February 21. President Museveni and several government officials have always complained that the company has been cheating the country of taxes. 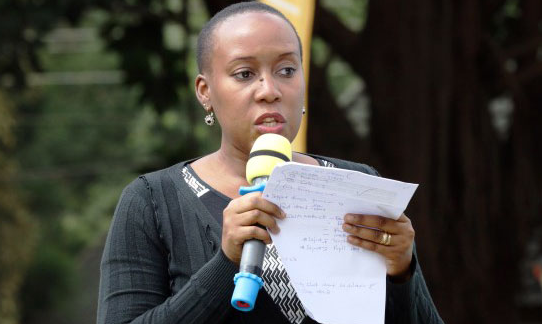 MTN Uganda is facing a litany of accusations including interfering with national security among other illegal dealings causing public revenue losses. Uganda recently deported the firm’s Chief Executive Wim Vanhelleputte, the fourth MTN official to be expelled in less than a month on accusations of compromising national security.